Villa Antico Uliveto is located less than a kilometer from the town center of Larino in the province of Campobasso. 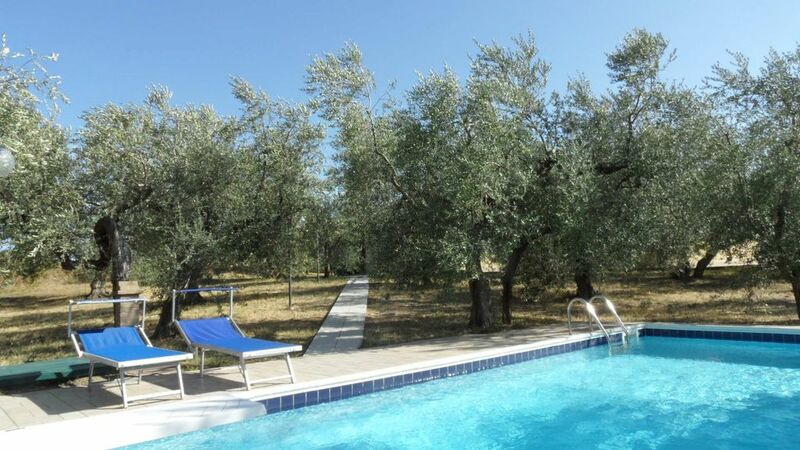 The Villa is surrounded by a centuries-old olive grove and fruit trees. In the well-kept garden you will find a wonderful outdoor pool where you can relax while enjoying the precious silence. The Villa, enclosed, has a large entry yard, several terraces and meadows. It has three bedrooms, two bathrooms, a kitchen and a large living area. The Villa is reachable from the different international airports of Rome, Naples, Bari and Pescara. It is about a 10-minute drive from the coastal town of Termoli.